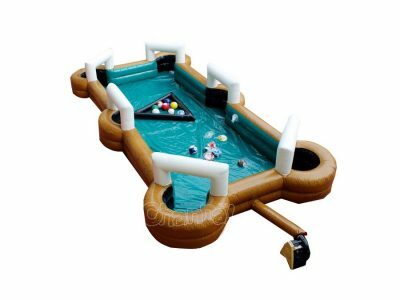 Inflatable pool table is a giant billiards table with soccer balls. Instead of cue sticks, we use feet to play this game. It has many names, you can call it soccer billiard, human billiard, snookball, foot snooker and so on. The billiard balls are replaced to soccer balls, the play rules stay the same with normal cue sports. 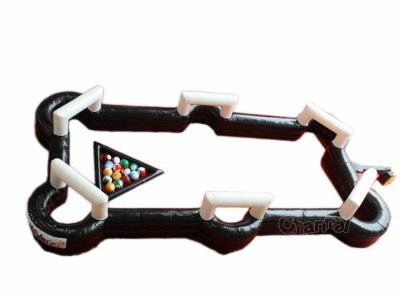 Channal Inflatables is a qualified manufacturer of inflatable soccer pool tables in China, we have great quality inflatable pool table for sale all the time. 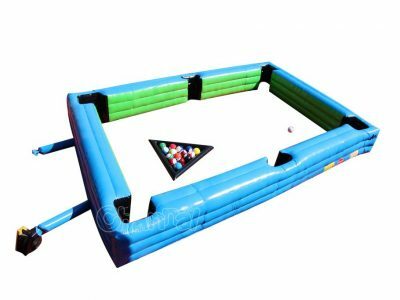 Our pool set also includes blow up soccer balls and cue racks. Contact us for your own custom football pool, no matter for your own rental business or any outdoor event.